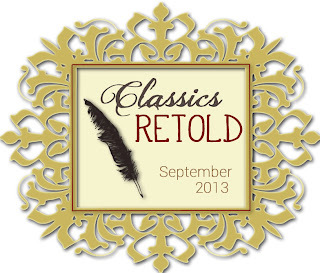 Classics Retold is a project hosted by Alison @ The Cheap Reader, Alyssa @ Books Take You Places, Brittany @ Book Addicts Guide, Charlene @ Bookish Whimsy (ME! ), and Wendy @ Excellent Library. Similar to Project: Fairy Tale from earlier in the year but for this project we are reading a classic book and then reading or watching retellings, spin-offs, or adaptions of it! September 2013 will be our month to post everything. 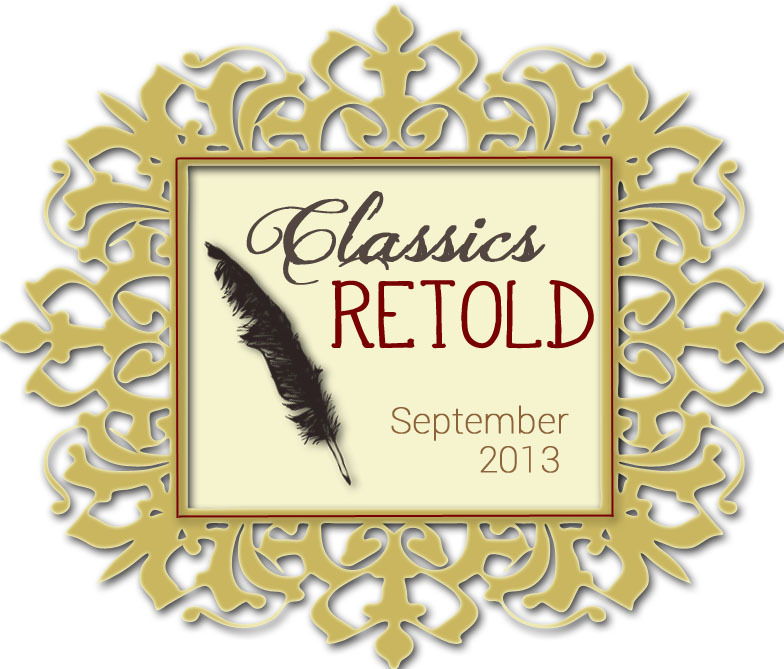 Each blogger will choose a classic they'd like to read. They read their classic and read or watch as many retellings, spin-offs, sequels or adaptions of their classic as they can. They will post reviews or their thoughts on each one during September. 1-4 bloggers can work on a "main" text. They can work independently or work together. You're allowed to all read/watch the same things or split the work up. To participate in this project, you only sign up for one classic (and its adaptions). Optional: You're allowed to work on other classics/adaptions if you'd like. Find the bloggers covering the book you're interested in and ask to do a guest post! Optional: Do other posts about your classic: character analysis, where else to find the characters, the book’s influence on culture, memes, etc. It can be literally anything involving your classic. Optional: Do a sign up post after I clear your classic. It will help spread the word about the project and you’re able to bounce your ideas off of your readers. They may even give you ideas of books/movies to use for your classic! For a classic to be useable for this project, it should have at least 2 adaptions, spin-offs, sequels, or retellings. Sign-ups for the project ends May 25th. Obviously this project is going to get pretty big so we've split the co-hosting duties up. It's all one big project so you only sign up once for one book (not once on each blog). 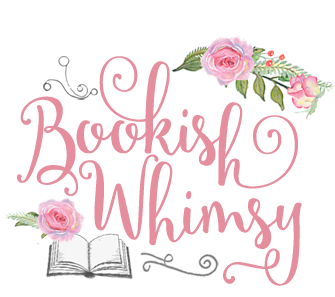 Charlene @ Bookish Whimsy is in charge of 19th Century & Gothic Classics. Here are some choices for 19th Century & Gothic Classics (but if you think of one not on this list, just comment below and I'll give you the OK for it, if it fits the category. Remember there is a separate category for all American Classics). I have picked "The Time Machine" by HG Wells for my Classic. Sign up by leaving a comment on this post with your choice and a link to your blog! I'll be at Disneyland today, so I'll try to get to comments later tonight, or definitely tomorrow! I would love to do Jane Eyre. I've been wanting to reread it & finally watch the movie. It's yours! Jane Eyre is my favorite book, so I definitely will be stalking your website in September! :) If it helps, I have a list of Jane Eyre related novels here. I had the same idea! Though I'll miss not doing JE! :) Done, just added your name to the list! I had no idea The Beekeeper's Daughter was Holmes related! I'd love to sign up for Sherlock Holmes! Awesome! I saw you signed up on Wendy's blog as well, not sure what category we will ultimately put Sherlock, but someone will let you know! :) Thanks for signing up! Can I do Pride and Prejudice please! Hope you're having fun at Disney! Your post you linked above to Amy is super helpful! I hadn't realized just how many retellings of Jane Eyre there are. I have two in e-galley form (I never read them because I couldn't squeeze in the source material, which I wanted to read first!) so am really excited to finally get to them! Oh thanks for that, I'm glad you found it helpful! Now I'm wondering - what books did you have as e-galleys? I am excited you are doing Jane Eyre! @Charlene, A Breath of Eyre and Ironskin are the two galleys I have! And, um, sorry about the late reply! I don't get comment notifications and forgot to come back and check to see if anyone said anything. Fail! Yay, okay, I've put you down for Persuasion! Just put you down! It's a book I've been meaning to reread too! LOL enjoy the Tom Hardy project! I mean Classics Retold! May I read Wives and Daughters? Its been on my tbr for far too long. Yes Faith, I just added you to the list! Thanks for participating! Les Mis is also a super long book - which has somewhat deterred me from reading it, but I will someday! :D I've just added you to P&P! Oh I'm signed up for that challenge too and did the same thing - picked a book from my list. :) I've put you down for Emma! I got so excited when I saw this!!! As tempted as I am to do Pride and Prejudice (as it's one of my favorite books) I'm enthralled by the idea of doing The Phantom of the Opera. The book is so twisted. Can I sign up for that please? Yay, so glad you are joining up! I love the musical of POTO so much - hope it will be included in your Classics Retold posts! :) I've added you to the list! I will definitely be doing at least two versions if the musical (the 25th anniversary and the movie/musical). Yay! I'm excited! FB to help spread the word! Be my guest! :D I've added you to the list, and I look forward to reading the post! Ooh ambitious book! Though I love the musical! I can't wait to see what you explore for this book! Thanks for participating! Oh okay, that makes sense! I know there are a lot of cool things to read and watch for Emma! Can I do North and South??? :) I love the BBC miniseries (Sigh, Richard Armitage.) and would love the excuse to read the book. Absolutely! I'm glad someone will be reviewing the miniseries because I adore it too! And I can't wait to gush over it with you on your blog. :D Thanks for participating Rachel! If it interests you, I already published my rewrite of Baroness Orczy's "The Scarlet Pimpernel." I blog at http://blog.cplesley.com, where the cover is prominently displayed. I know I am late to the party but could I still sign up. I love Holmes but I want to challenge my self with a book, I haven't read and want to The Three Musketeers. Yes! I've added you to the list! Thanks for participating Cassi! I would like to sign up for Northanger Abbey! What a fun idea! You can put me down as Jess from Reading on the F Train. Oops--didn't see that I'd missed the sign-up date. I'd still love to participate if it's ok! Is it too late to participate? I would love to sign up for Tess of the D'Urbervilles! I haven't seen any of the adaptations, and would love a chance to reread the novel.